Sheikh Mohammed bin Rashid, Ruler of Dubai and Prime Minister of the United Arab Emirates and his son, Hamdan bin Mohammed, Deputy Ruler of Dubai, presented two models of transport units on the sidelines of the World summit of Governments. The outstanding mobility units are a future mobility system, which TRA is considering to implement in cooperation with a company and is one of the Telecommunications Regulatory Authority (TRA’s) initiatives for the future mobility of the Emirates. 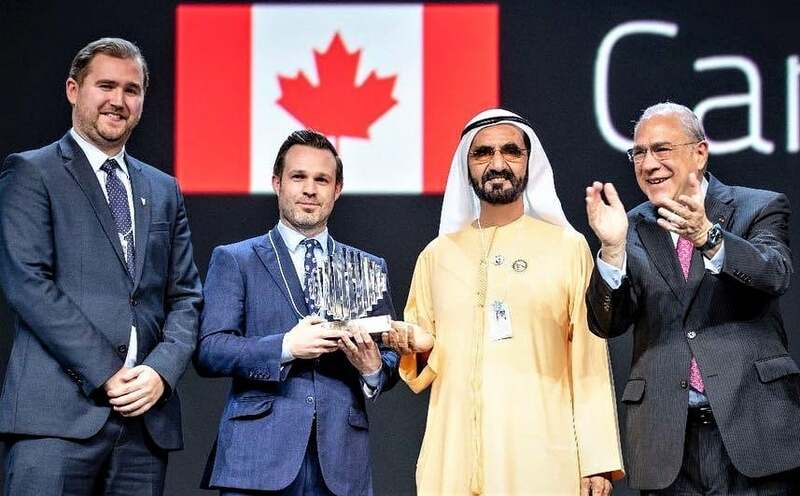 Rashid received the State of Canada Award for the most innovative government experience, while Sheikh Hamdan Bin Mohammed bin Rashid was awarded the “Presentation Art Prize”.